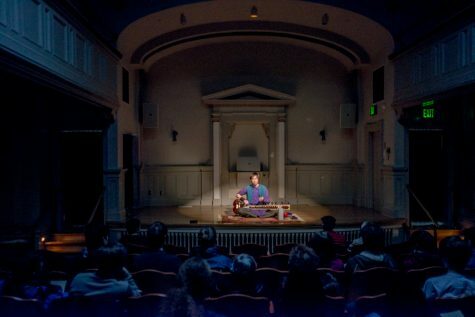 Featuring a diverse spread of music, Whitstock is Whitman’s own yearly music festival and an opportunity for students, faculty and staff to enjoy an evening together. 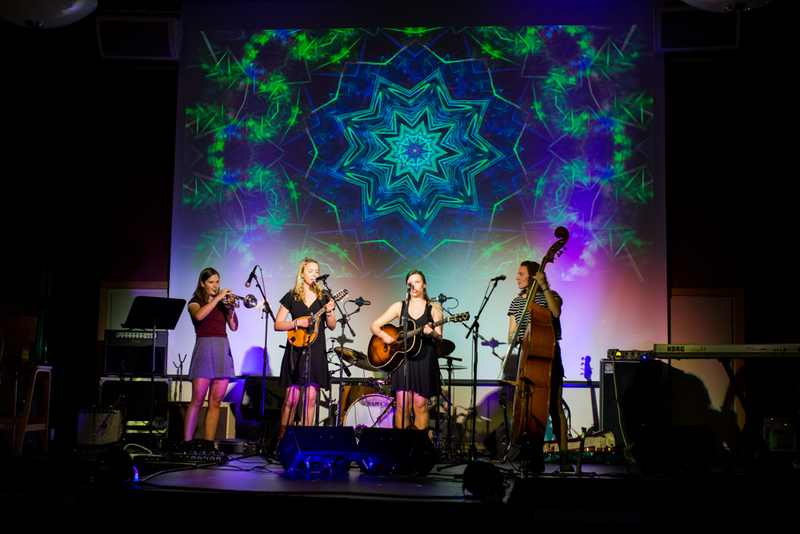 The third annual Whitstock took place on Friday, March 9 in the Young Ballroom and brought together people from all walks of campus to listen to music ranging from bluegrass to rock, folk-jazz to acapella. The three-hour festival included finger food, an assortment of beverages, standing tables and a dance floor. At the front of it all were the eight musical acts that provided the evening with high-quality live music, taking the stage one after another in true music festival-style inspired by Woodstock. The festival has grown throughout he three years it has been put on, and one of its purposes is to build community and promote interaction between Whitman students, faculty and staff, as well as their families. In previous years, Whitstock took place at the end of Spring Break; this year, it was moved to the Friday before Spring Break in an effort to bring in more attendees before students and faculty left campus for the break. Director of Human Resources Dennis Hopwood, who, along with the Personnel Advisory Committee (PAC), organized Whitstock, spoke of the idea behind the one-night music festival. 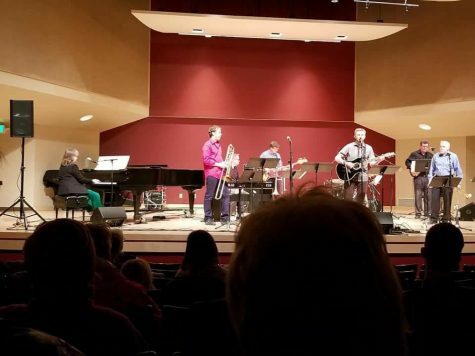 The music groups that performed included student groups such as the acapella group Schwa and the trio The 205, faculty musicians such as sociology professor Keith Farrington and his band Still Standing, and staff members including singer-songwriter and Whitman Events Coordinator Tasha Waterman. In addition to Whitman staff members, student groups were also on the lineup. Student band Crossing Isaacs performed songs with a fusion of funk, pop and jazz styles. Band member and senior Eve Goldman enjoyed not only performing the music, but also the chance to talk to staff and faculty outside of an academic setting. 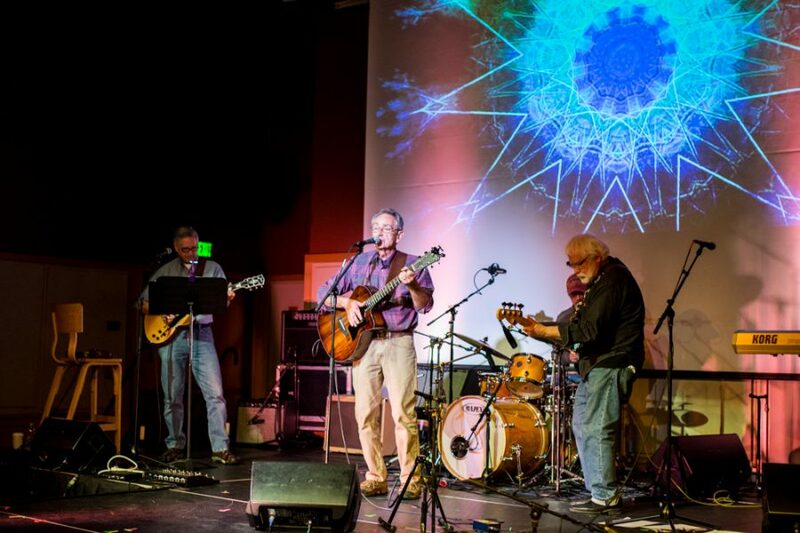 Senior Adjunct of Music Instructor Michael Simon, who did the sound for the festival and played bass in the band The Phil Lynch Trio, has been involved with Whitstock since the first year it was held. He spoke about the importance of involving the whole campus in music. While Whitstock builds community, Hopwood also hopes this annual music festival will just provide a night of fun through interacting with one another and listening to the live music.